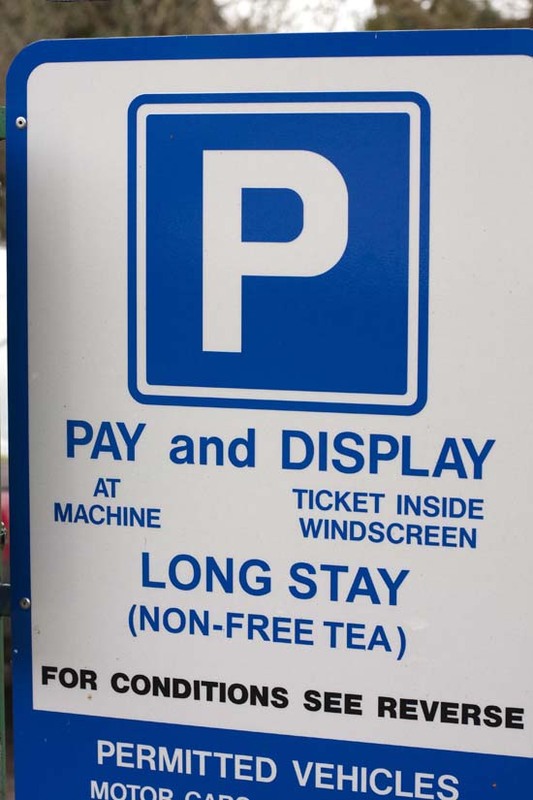 In the Wickham Market car park the 30 minutes free bays by the toilets have gone but you can now park for an hour free but you do have to get a ticket from the machine. Easton Pre-school are easily the most popular recipients of the Co-op green plastic discs in both Framlingham and Wickham Market. 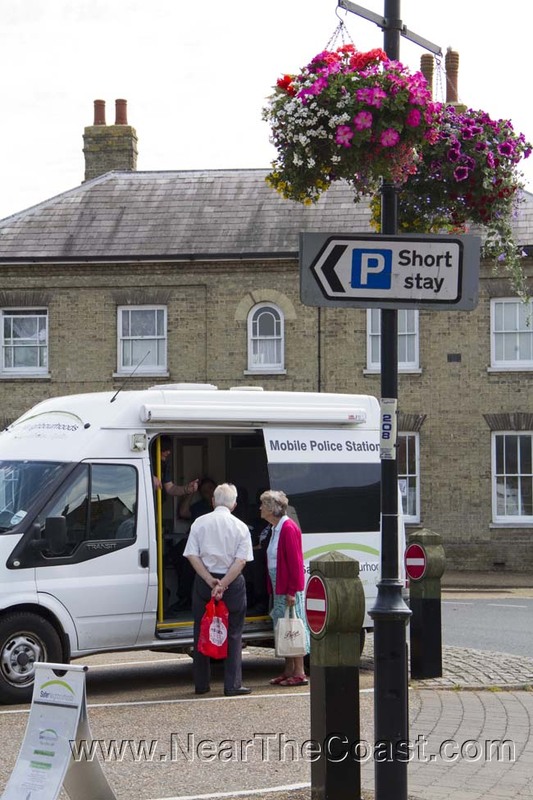 The mobile police station was in the centre of Wickham Market Friday afternoon operated by PCSOs Kat Howard and Sallyanna Chattenberry with volunteer John Hoe, and it had customers. The station goes out for a week every six weeks, it's next tour starts Monday 3 August in the Costcutter car park Rendlesham. Sometimes it seems Suffolk Coastal are trying to isolate bits of near the coast like Wickham Market and Kettleburgh from the rest of the UK. These gentlemen shopping for booze and other items in the Wickham Market Co-op last month forgot to pay when they left, indeed they forgot to leave the supermarket baskets behind as well. Earlier this week a Land Rover Defender in Wickham Market had a window smashed and items stolen ... bit concerning this crime is being dealt with by PC Gemma Spink at the Felixstowe station, not Woodbridge? Interesting times in Stradbroke, the post office will re-open in October but in the library and the Spar re-opening has gained a question mark prompted by the East of England Co-op expressing an interest in the now long defunct garage (so a bit like Wickham Market then). As we know East Anglia tends to be more laid back than say a large town near Chelmsford though these days even the Wickham Market co-op car park can get a bit frantic. It must have been a loss to Wickham Market when Seagers hardware and garden shop shut, 2012 we think. Noticed this morning there's now R&S hardware and garden on the opposite side of the square, allegedly a monthly market on the third Wednesday and the outstandingly excellent Summer Extravaganza is back next month and it's still free. The Wickham Market flower club quiz this Saturday is bring your own drink but OTOH the price of admission does include a fish and chip supper! Last week in Wickham Market (not Wimslow Arizona) a flatbed Ford was stolen with a metal seed drum on the back ... what's a seed drum? There's an area bounded by Wickham Market, Debenham and Halesworth known near the coast as the Wickden Triangle within which either something in the water or incipient dementia prompts bizarre council behaviour such as this sign in the Stackton Tressel Crack Street car park. An Internet safety evening at Alde Vally High School Leiston tomorrow evening. The next Wickham Market flower club meeting is Thursday fortnight the 27th. Somewhat sooner the Woodbridge safer neighbourhood team is meeting Thursday in the Wickham village hall. Woodbridge police station are holding a watch found in Wickham Market. After the dem by Avril Hill at last month's Wickham Market flower club meeting there was Christmas punch and mince pies, they know how to live in Wickham. Next meeting Thursday 23 January. ♫ There's a daily live band at each of the three day beer and cider festival in the Wickham Market village this weekend, not clear whether it's free entry. A copious report by Mandy Pryke bulletin board of Wickham Market flower club's activities, Framlingham camera club's workshops continue next month and today it's Trafalgar Day all over near the coast. If this year's Wickham Market Summer Extravaganza is a marker then this coming Saturday's Oktoberfest with sausages specially made by Revetts should be a steamer. Brundish cinema starts it's new season tomorrow week with Arbitrage starring Richard Gere, Susan Sarandon and yet another Brit playing an American Tim Roth, and the police are taking no further action over the fire at the Wickham Market George earlier this year. The part time gardener has been acquired in a village between Wickham Market and Woodbridge, kind words about the Framlingham White Horse and interesting times at the Stonham Barns heavy horse day. We've now got a Twitter tab on our Facebook page and what was Sweet Dreams on the corner of Broad Road in Wickham Market is going to be a hospice shop. Police Community Support Officer Sallyanna Chatten-Berry (what a great name) will be meeting and greeting at the far end of the Wickham Market co-op by the free coffee machine 10:30am-12pm Saturday. Yesterday's Wickham Market Primary School Summer Extravaganza (rolls of the tongue doesn't it?) was just so much fun, loads going on with judo, belly dancing, the cops had a dress up pile, the traditional queue for burgers and ice cream and how they got the Red Arrows to fly past (very slightly out of formation - it's the cuts you know)! Already looking forward to next year's. Blimey! Tomorrow's Wickham Market Primary School Summer Extravaganza includes a samba school, belly dancing, cricket and henna tattoos! We'll be there early snapping before moving on to do the same at the cycling festival on the Kingston Field in Woodbridge. Arriving back near the coast yesterday we did our shopping in the Wickham Market co-op ... it was so calm and unhurried compared with the Hackney Tescos near Chelmsford ... ahhhh (we thought) nice to be back ... on the back road to Easton we dodged two hatchbacked mums with hectic lifestyles and a flying post van ... Suffolk eh? (we thought). Looks like the Wickham Market George will be out of play for some time after that fire so no pub in the town, the old co-op is still TO LET as is Sweet Dreams on the corner of Broad Road and what was Seagers the hardware shop looks very sorry for itself with a net curtain in the window ... but still a chip shop, a cafe, two restaurants and the post office has an outside hole in the wall for cash which it never did when we lived there. A whole bunch of fishing gear stolen in Benhall (that's at least two Benhall burglaries this month), we've had 13,000+ visitors this month which would have been an all time record in February and Blimey! They have cocktails afterwards at the Wickham Market flower club!! Man arrested on suspicion of yesterday's fire at the Wickham George. In the middle of last century the junction at the top of Fore and Castle Streets in Framlingham looked different, the station didn't have any broken windows and still the fire buckets in place despite grass growing where the track had been. Mind you Wickham Market looked pretty much the same though the carnival was still happening despite the A12 passing through the village. Andy Davey reports last weekend's school fund raiser in Wickham Market made £700 ... impressive. ♫Choice of two choral concerts this Saturday, the Suffolk Singers at All Saints in Wickham Market and Phoenix in St Mike's Framlingham. ♫ This Saturday there's a two band school trip fundraiser in the Wickham Market village hall with childre0n FREE and included paella there's continental for you and the same evening there's a concert of music and poetry with canapés and wine in St Mike's Framlingham. A second reason for not stopping in Wickham Market (the first is the sterile new Co-op, nowhere as tempting as the cute and much smaller older one) is Seagers the hardware shop has closed. in the 1950s, the Thorpeness House in the Clouds with a windmill next to it and Wickham Market Hill with a water pump. This LNER (London and North Eastern Railway) price list shows that surprisingly (to us) in 1937 Wickham Market had markets on Mondays and Saturdays (return third class ticket from Darsham 1/6d, that's 7.5p). Rather less surprisingly a return ticket Wilby-Ipswich (markets Tuesdays and Saturdays then in Ipswich) was just over four shillings but still a little surprising that somewhere as small as Wilby ever had a station. Christmas 1931 in Framlingham, rambling near the coast in 1963, the Wickham Market post office from a time when the post arrived in the morning and the Queen's Head Dennington. 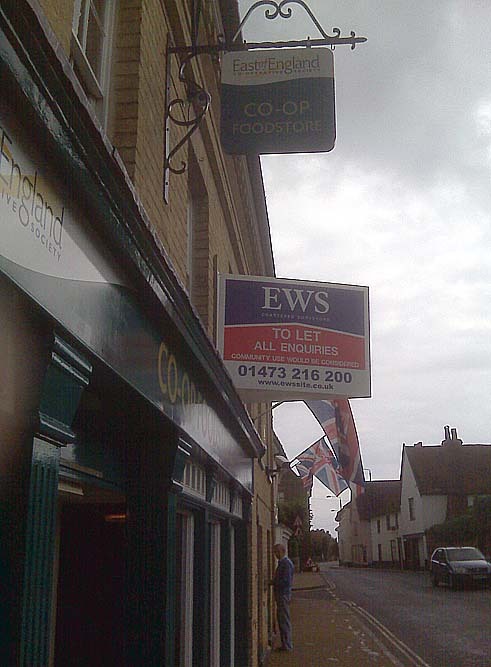 The new co-op in Wickham Market must be on the way as the old one is being offered TO LET Community Use Would Be Considered ... dear old co-op/rubbish old mobile phone camera. A pretty classy racing bike was stolen in Wickham Market last month. Wickham Market in 1907, Hacheston school pre-1920 and Framlingham Riverside and Castle Street. Pathfinder Guide to Suffolk Walks FOUND yesterday and lightning strikes twice in Wickham Market with more cigarettes stolen last week. Early yesterday a stolen car was set alight in Little Glemham after being used to steal cigarettes in Wickham Market. Yesterday a Tunstall dog walker's handbag stolen, a motor fiddler at it in Wickham Market and an iPod found in Woodbridge.